Hearts youngster Bartlomiej Gajda has gone on trial with GKS Jastrzebie. 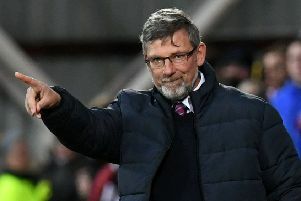 The Polish 19-year-old, who has made just one competitive appearance for the Jambos in a 3-1 loss to St Mirren in the Irn-Bru Cup in 2017, hasn’t managed to force his way into Craig Levein’s first-team plans since joining in August 2017 from Gornik Zabrze in his homeland after impressing during a trial period. The central defender’s contract at Tynecastle is due to run out in August 2020 but it looks as though Gajda - capped at Under-15, Under-16, Under-17 and Under-18 level for Poland - could be on his way back to Poland if his trial at Jastrzebie is successful. Gajda has also spent time with Polish second-tier side Podbeskidzie Bielsko-Biała, and could line up against his former club if a deal is struck.